My Child Has Been Diagnosed with Autism. Now What? All of these reactions are normal. But wherever you find yourself emotionally, you’ll be in the best position to help your child if you take a methodical approach to learn about your child’s options and evaluate both your own goals and your child’s needs. The autism spectrum encompasses a broad range of abilities. Truly, no two children with autism are alike. It’s important for you to understand what the spectrum is and where your child falls within the spectrum. A great place to start is the Autism Speaks website. Here you’ll find detailed yet down-to-earth explanations of what autism is, updates on the latest scientific research on autism, and helpful insights into many of the challenges that come with raising a child with autism. These days, as the rate of autism diagnoses increases, a plethora of treatment options exist. Sadly, many popular treatments are not rooted in scientific principles; their methods are based solely on theory, anecdotes and hopes. As you research different options, look for therapies that are evidence-based. One such treatment, ABA therapy, has been at the forefront of autism treatment for some time now. It’s a treatment strategy that is grounded in solid, scientific evidence, and it can produce significant results for many children. However, it’s also not your only option. Research your options carefully and choose one that will meet your child’s needs and help accomplish your goals. 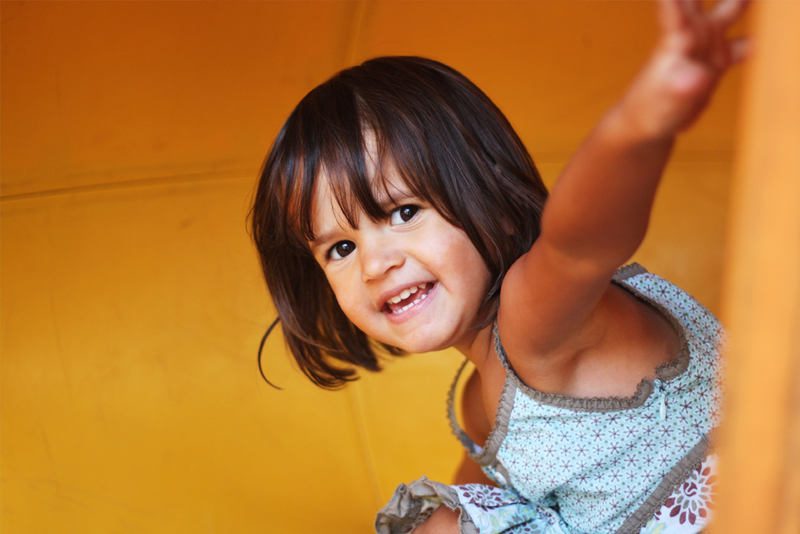 The choice of treatment provider can make the biggest impact on your child’s development. You’re going to be spending a lot of time with this provider, so make this choice carefully. Both your personalities and your treatment goals must match. Also, look for a provider who is willing to collaborate with other providers. Your child’s treatment will most likely require a team of professionals working together, so the ability to work with other providers is a must. Above all, be wary of any provider willing to make absolute claims. Anyone who says they can cure your child’s autism should raise an immediate red flag. Sadly, the truth is that autism can be treated … but not necessarily cured. Likewise, be wary of providers who can give you a timeline up front for your child’s treatment. Just as every child is an individual, every child’s treatment needs to be individualized as well. By the time your child has been diagnosed, you may already have had to make many changes in your home. With the diagnosis confirmed, however, you may be considering making further changes. The most important thing is to look at the problem areas in your home and make smart changes. Ask yourself, “What about my child is keeping me up at night?” Focus on solving that problem area first. For example, if your child elopes (i.e., wanders out of the house at night), make it a priority to get a good child-proof lock on the door. If you have heavy shelving that your child tries to climb, by all means, focus on tethering the furniture to the wall. There are many supplies designed to help parents keep their children safe, such as door locks, safety mechanisms and more. Bottom line: If your child is prone to a dangerous activity, change the environment. Make that your priority, and then you can start to worry about other things. Now that you’ve received your child’s autism diagnosis, you’re about to embark on a long and challenging journey that will undoubtedly test your limits. However, this journey will be infinitely easier if you don’t have to go through it alone. Do what you can to establish a support network that will allow you to vent, seek advice and gain a respite from your ongoing obligations. This support might come from a parent group, a counselor, family member or trusted friend. Whomever it is, they may turn out to be a lifesaver for you. After all, remember what airline attendants tell us during their “in case of emergency” presentation: You can’t help someone else unless you help yourself first. Interested in learning more about our approach to autism treatment at Positive Behavioral Connections? We’re here for you. Contact us today to schedule a time to talk.